How are you Funding your Auction Purchase? We’ve worked with Together for a number of years – they have helped arrange auction fiance for many of our clients so they can bid with confidence at one of our many property auctions throughout the year. If you’re interested in investing in any residential or commercial properties – anything from lands to retail units – then Together money are our recommended choice for helping you effectively and efficiently finance your purchase. Together can help arrange the short-term finance you may need to complete your purchase on time and bid on the property you really want. Don’t lose out on your dream property just because you don’t quite have your finances in place. Talk to the team at Together and let them help you through the process of financing your property. Buying a property at auction can often be a great alternative to buying through more traditional routes especially if you’re buying for investment purposes. However, the speed of purchase to completion is very different so it’s important you have the funds in place for the property you are interested in by the time you bid on it. Once the hammer drops and the final bid has been placed the property is legally yours! Typically, you then have 28 days to complete the purchase so turning the funds around in a short, professional and timely manner is very important. That’s why Together auction finance from as little as 0.49% can help you if you are buying at auction. They pride themselves on quick turnarounds, unlike many high street lenders who can take much longer. They will finance your standard two up two down or semi-detached to used opportunities, unusual properties, and building plots lacking planning permission. If you’re investing in a residential or commercial property or plot of land, at our auctions, speak to Together about arranging any short-term finance you need to complete your purchase. 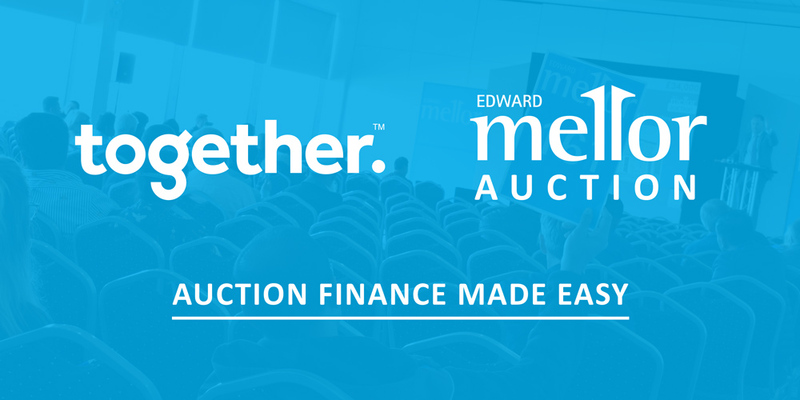 Together’s auction finance rates start from just 0.49% per month, and they pride themselves on rapid funding – unlike some high street lenders’ processes, which can drag on. Short term finance 1-12 months. Funding for residential investment, commercial property and land purchases. Simply click here, to get in touch with Together today to see how much you could borrow and secure that property with confidence today. Get an in-principal decision in advance!